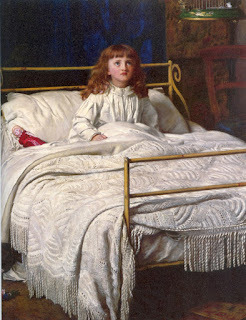 There is an interplay between the states of consciousness, how we keep looking at the child as they slip between sleeping and waking, waking and sleeping. 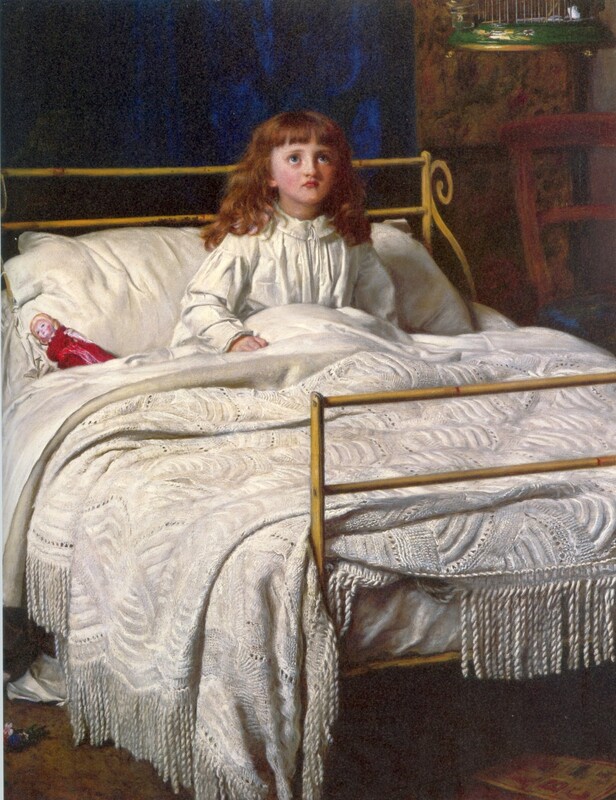 Millais' daughter Mary was the little girl in the bed and you feel there is an element of paternal pride in his images. 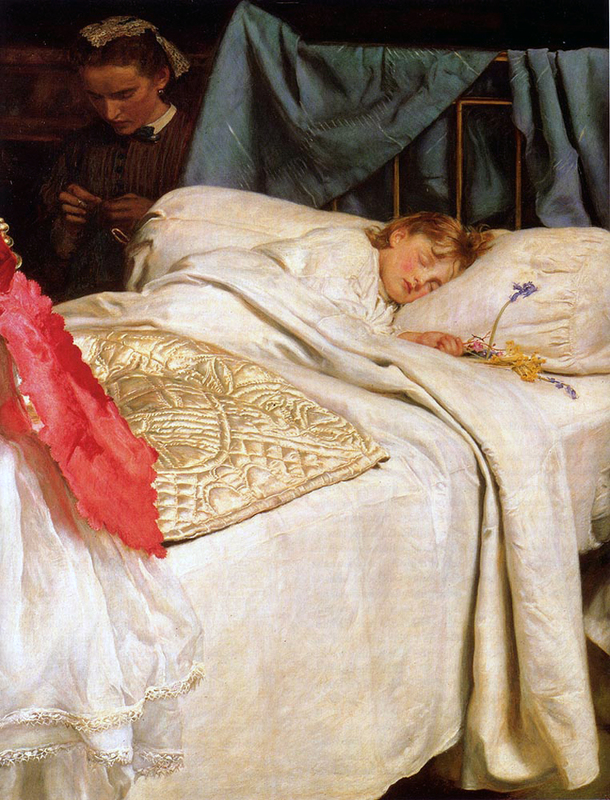 There is also a sense that we see what he sees on a daily basis, that we for a moment experience looking over the child as she sleeps. 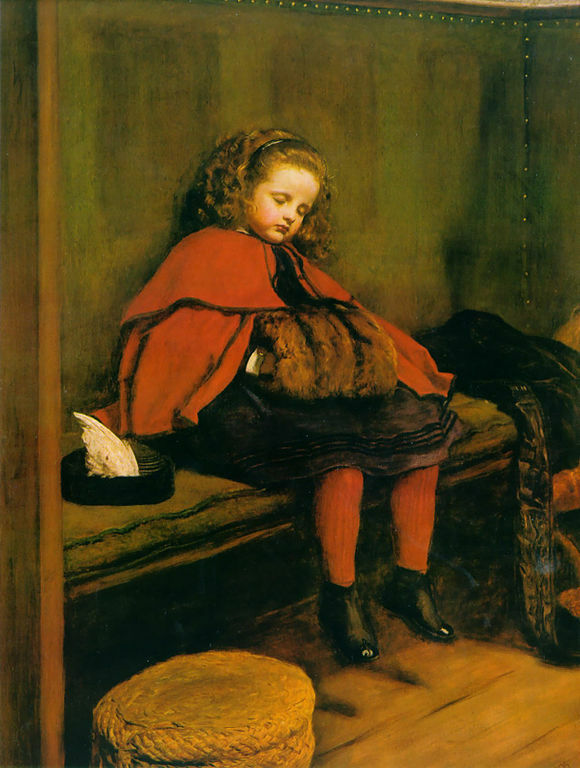 I always feel that there is no 'side' to Millais, that his paintings are a straightforward transference of emotion from his brush to our eye, so I think he expects us to feel his parental responsibility, his amusement, his care. 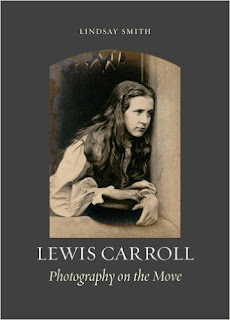 Lindsay's book is available from Amazon UK (here) now and in January from Amazon USA (here). I look forward to having a lovely chat with Lindsay and telling you all about it in the new year, but in the meantime her book is a very interesting read for those who want a bit more detail in this Alice anniversary year. 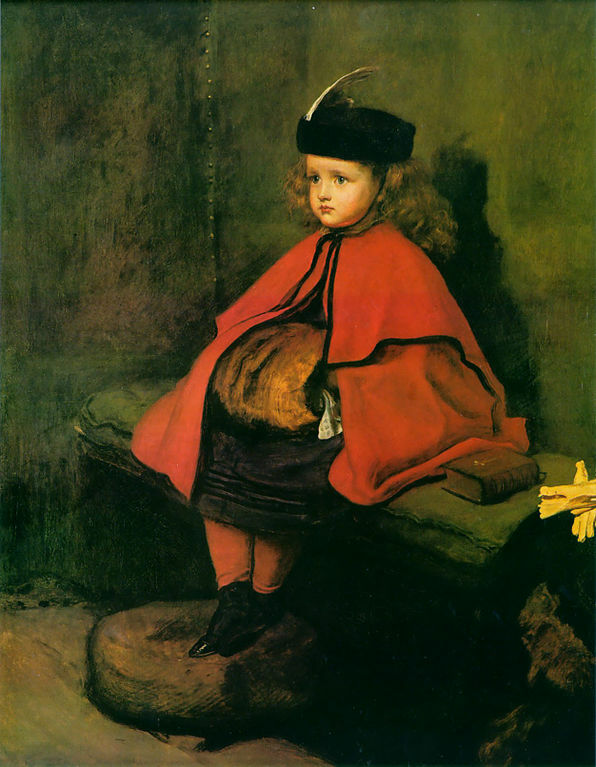 The charming paintings of Millais' little girl give the lie to the distant and stern Victorian father. 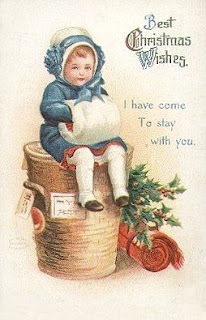 He obviously adored his children and was not afraid to show it. Another link with Millais and Lewis Carroll/Tenniel was the illustration of Alice in the Train, from Through the Looking Glass where Tenniel has taken elements of the costume from Millais' My First Sermon/My Second Sermon for Alice's outfit. Thank you both, and thanks Ellie especially for that link. I shall find out the picture and pop it on my Facebook page. If you are on FB, come and find my author page because I try and share more images and information that I don't have room for here or that are just gorgeous! The Millais' paintigs you've shared are among those I do prefer and love so much of his wide repertoire !